With warm watercolor artwork and a gentle storyline, this picture book sensitively looks at the issue of interfaith families. "Why can't you be Jewish like me? Why can't I be Christian like you?" 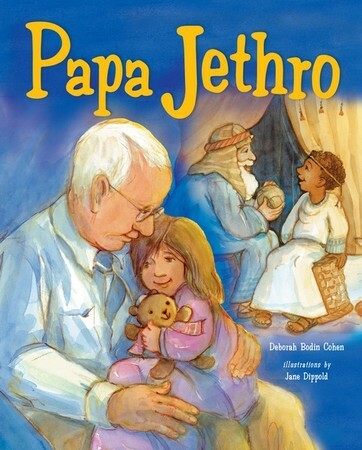 To answer these questions posed by his granddaughter, a modern grandfather tells her the parallel story of Jethro, the famous non-Jewish grandfather of the Bible.